Chaparral is proud to offer our new Individual Lease Program in select units. Enjoy the benefits of being on your own lease with internet and city utilities included! Enjoy the peace of mind of your own individual lease. No housemates? No worries! Use our complimentary housemate selection tool to find your perfect fit. Share and save! Ask how you can lower your cost of living. Availability, floor plan options, pricing & fees are subject to change. Rates listed are per-bed. Rates do not include parking, gas & electricity, or $25 Background Check fee. Apartments are not furnished. 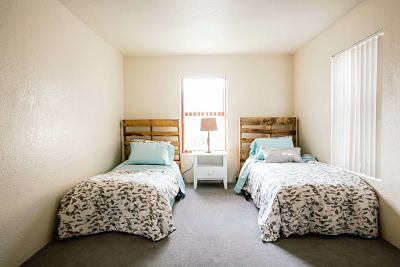 Residents sharing a bedroom must find own roommate. See office for details. You’re going to love living here. Contact us for more information!